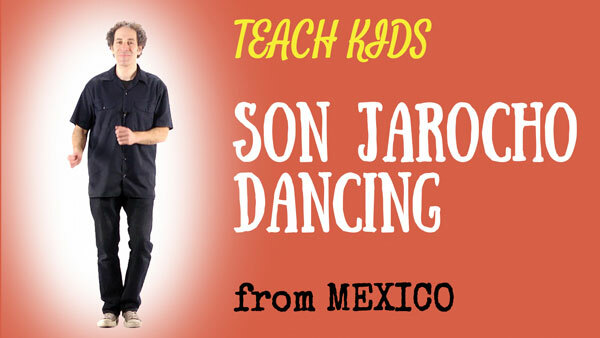 SON JAROCHO is a Spanish/Creole/African musical fusion from Mexico’s southern coastal plain area of Veracruz. 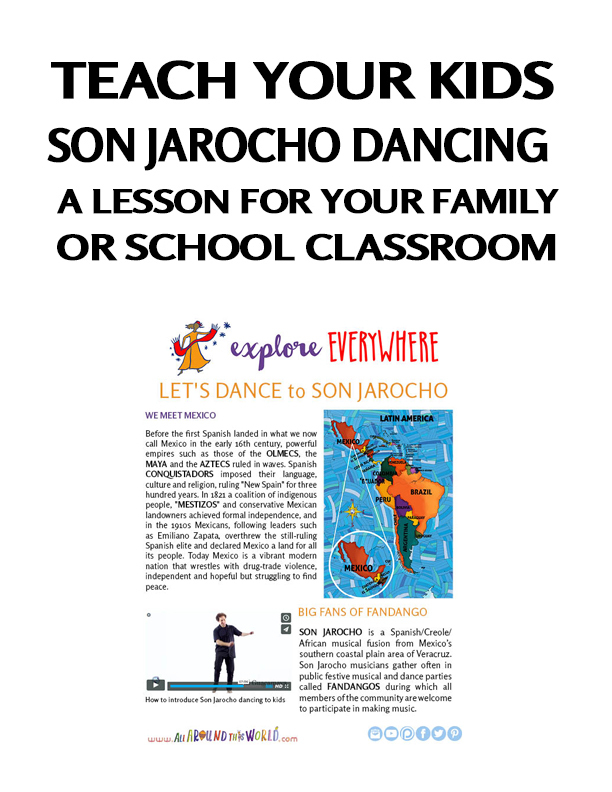 Son Jarocho musicians gather often in public festive musical and dance parties called FANDANGOS during which all members of the community are welcome to participate in making music. A FANDANGO is a community festival, a time for friends and family to gather in the public square to sing, dance and jam out on SON JAROCHO instruments like a JARANA (a small stringed instrument like a guitar), a QUIJADA (a donkey jawbone used for percussion), a MARIMBULA (a wooden box with metal tines to pluck), a SON JAROCHO HARP and a wooden dancing platform known as a TARIMA that the musicians consider a percussion instrument and factor into the arrangement of their songs.